Get this free application and enjoy it on your Android phone or tablet, Android Wear smart watch or Android TV. Can't find the dice. How to play my board game? Did you lose your favorite game's dice? Here is a simple solution to this problem. 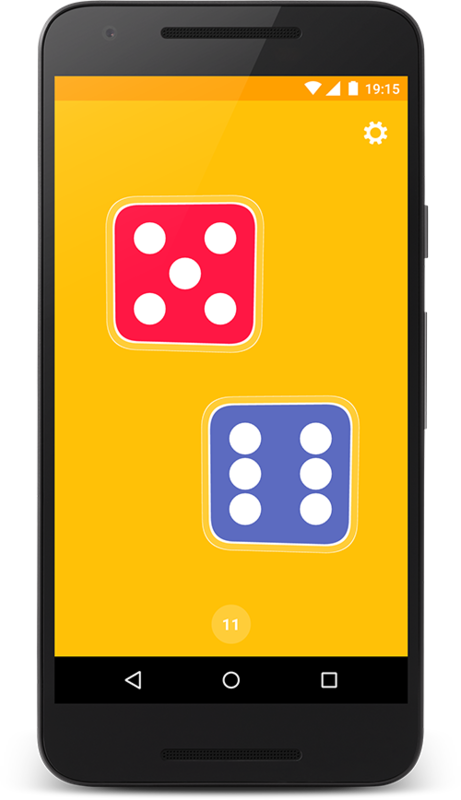 Replace your real, physical dice with a virtual one. 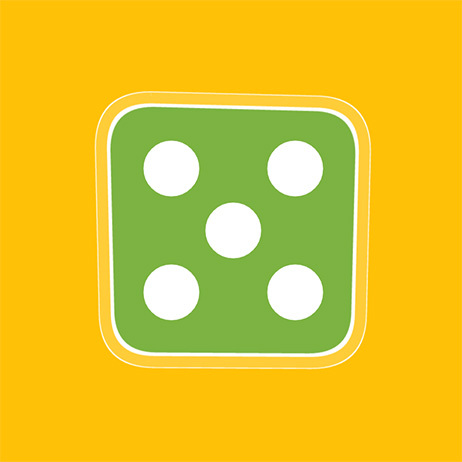 Open Google Play on your smartphone, tablet or computer and search for it or click here for direct link. Install the application on the device, it will take just a couple of seconds and will not take much space. The download is only 1.5 MB. Open the app and then click on the "Settings" menu on the top right corner of the screen. 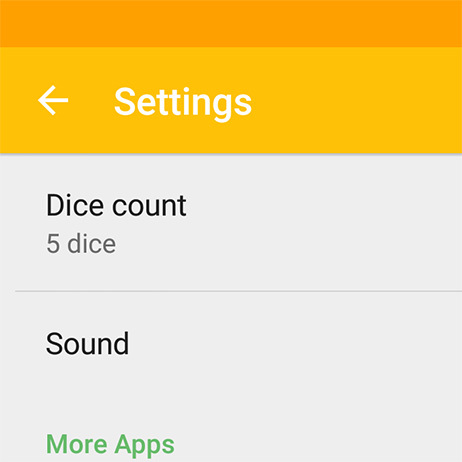 Choose how many dices you want to roll. You can select from one to six. 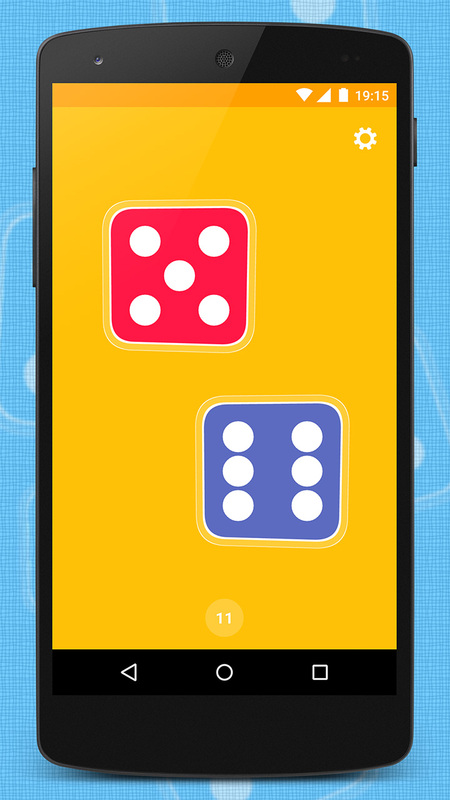 Tap on the screen to roll. It is that simple! At the bottom of the screen, you will see the sum of all dots. So obvious that everyone can use it with just a single tap. Beautiful, modern design with great animations and fast, responsive interface. The application is only 1.5 MB to download. You will always have space for it. 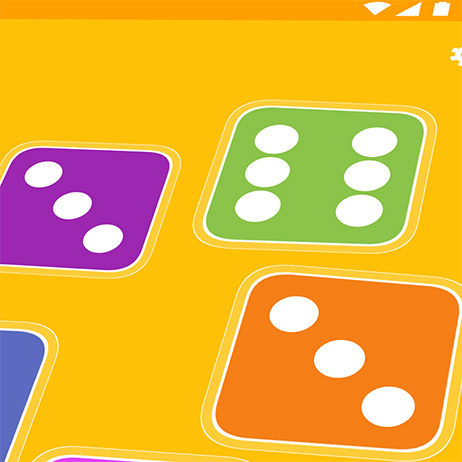 Do you enjoy playing Monopoly or Yahtzee with your kids during the weekend? Be innovative and get virtual. 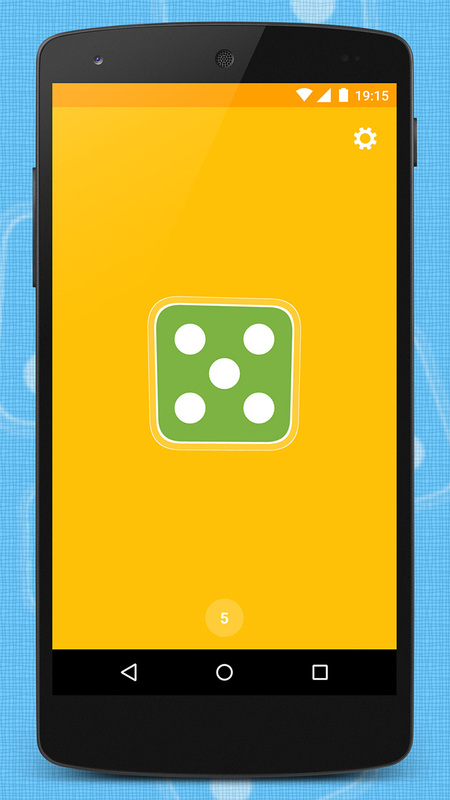 This mobile application will make your favorite board games funnier. Have an unforgettable time with your friends and family. 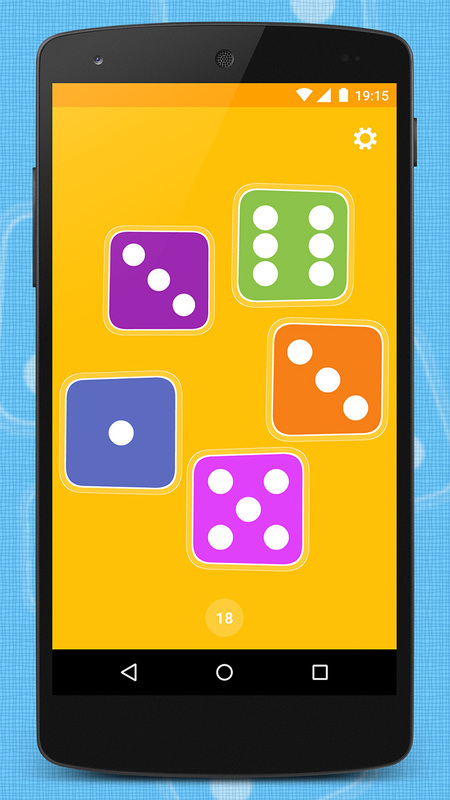 You can roll up to six dice simultaneously. So almost any board game can be played. From the Settings menu, you can enable "shake" functionality. If you use desktop widgets, check this app's one. The app is designed for simplicity and convenience, focused on its main task. Many web sites and blogs have already made reviews about this great app. If you also want to make a review, here you can download a simple press kit. Visit our Facebook page. There you will find support and everything that is happening around the app. You can also leave feedback and rate us under Google Play's app page and contact us on our support email. The app is created by Nikola Kosev. More apps and information is available on official website kosev.net. For all latest news, visit Kosev Blog.